Item # 309910 Stash Points: 499 (?) This is the number of points you get in The Zumiez Stash for purchasing this item. Stash points are redeemable for exclusive rewards only available to Zumiez Stash members. To redeem your points check out the rewards catalog on thestash.zumiez.com. Fix your nasty smelling vehicle with the Primitive Dirty P Warp Air Freshener. 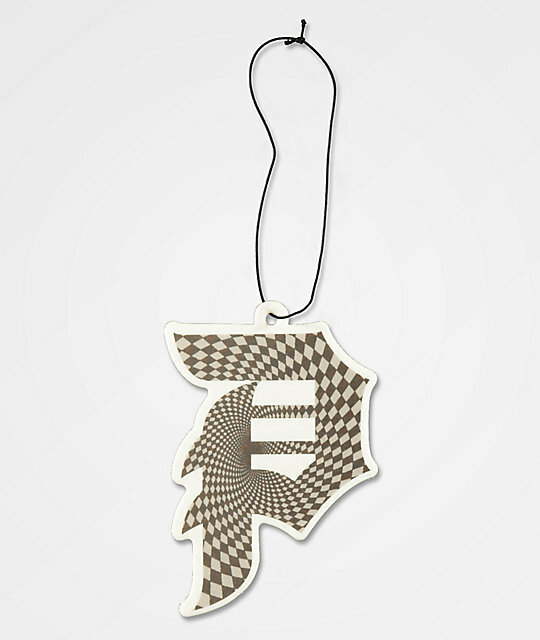 This new car scented air freshener features the classic Primitive P logo on one side and Primitive logo script on the other. Primitive Dirty P Warp Air Freshener.